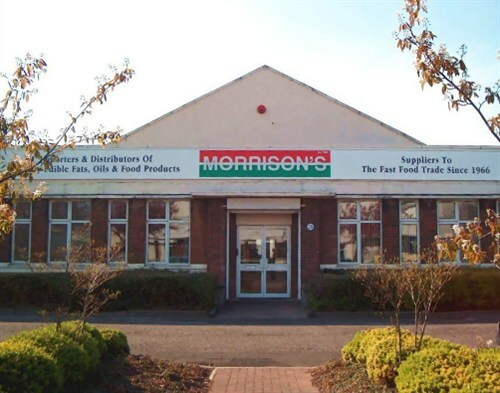 Morrison’s is a family run business supplying the catering trade in Scotland since 1966. During this time we have established ourselves as a reputable supplier offering an extensive range of Edible Oils, Fats and Food Products. Best known for the supply of frying oils and fats to Fish and Chip Takeaways, the comprehensive list of products has been carefully developed to appeal to a wide variety of food outlets. Our client range now extends to Wholesale Distributors, Food Manufacturers, Sandwich Makers, Pizzerias, Snack Bars, Hotels and Restaurants with each order treated with the same level of importance. There have been many improvements over the years at Morrison’s, but one thing that has not changed is the dedication to customers, with customer service being the focus of the company. Our friendly Sales Team, ably supported by our network of suppliers and manufacturers, are on hand to discuss your order requirements and offer advice or technical support if necessary. They are available from Monday to Friday and will be delighted to take your order and make you aware of our Product of the Month and any other promotions. We offer our customers a weekly delivery service with no minimum order value in place. Our warehouse at HillingtonPark,Glasgow is ideally situated just off the M8 Motorway at Junction 26 giving us excellent access to the Motorway network for deliveries throughoutScotland. Please feel welcome to visit and browse at any products that may interest you. Be sure not to miss our equipment showroom, where you can view a selection of Drywite catering products available for sale or alternatively order from their current Catalogue. Assuring you of our very best attention and service at all times.